Social security fund newly entered 3 stocks, favoring chemical retailing, etc. Social securityfundEvery move has attracted the attention of the market. Statistics show that as of April 13, 43 companies in the two cities have disclosed the first quarterly report of 2019, of which 12 companies have the top ten circulation.shareholderAmong them, there are social security funds, and three are new in the first quarter. The concept of large consumption such as retail and chemical industry is the preferred direction of social security funds. The data shows that among the above 12 listed companies, the social security fund holds a total of 156 million shares, with a market capitalization of 4.916 billion yuan. According to the existing statistics, the social security fund holds the highest stocks with the highest market value.Animal husbandry, the original shares, the social security fund 108 combination is the fifth largest of the stockCirculating shareholder, holding 4,072,500 shares, accounting for 1.95% of the total share capital. Compared with the end of last year, the social security fund 108 portfolio has decreased. Makino shares have risen sharply this year, and the increase in the year ended April 13 has reached 136.87%. Followed byHuiding TechnologyAt the end of the first quarter, the Social Security Fund 503 was the eighth largest tradable shareholder of the stock, accounting for 1.445% of the total share capital. Compared with the end of last year, the social security fund 503 combination has also been reduced. Huiding Technology also has a 35.88% increase this year. In addition,Qixin Group,Shennan circuit,Xin Yangfeng,Yifeng Pharmacy,Luxi Chemical,High energy environmentAt present, the social security fund holds a higher market value, and the market value at the end of the first quarter is more than 100 million yuan. It is worth noting that the social security fund has newly entered three stocks in the first quarter: Yifeng Pharmacy, Shennan Circuit andAnkerui, in the retail, computer communications and other electronic equipment manufacturing industries,Instrumentationmanufacturing. From the specific positions, the first quarter of the social security fund 115 holds 3.35 million shares of Yifeng Pharmacy, accounting for 0.9368% of the total share capital. The Social Security 406 portfolio holds 2,865,700 shares of Shennan Circuit, which is the second largest tradable shareholder of the stock. Social Security 604 combined with the new Ankerui in the first quarter. The data shows that Yifeng Pharmacy, Shennan Circuit and Ankerui have increased by 38.37%, 46.56% and 30.4% respectively this year. Judging from the collectively optimistic varieties of social security funds, Xinyangfeng, Qixin Group and Luxi Chemical have two social security groups. 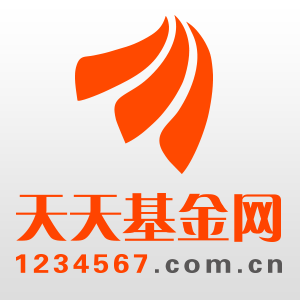 The data shows that the social security 103 combination, 104 combination at the end of the season is the top ten tradable shareholders of Qixin Group; Xinyangfeng has a combination of social security 111 and social security 114, and appeared in the top ten tradable shareholders in the first quarter; Luxi Chemical There are social security 102 combination and social security 423 combination. On the whole, social security funds prefer consumer stocks, holding more stocks in the retail, chemical raw materials and chemical manufacturing, computer and communications and other electronic equipment manufacturing industries. In the future, with the gradual disclosure of the listed company's 2019 quarterly report, the “heart-water stocks” of the social security fund will be further exposed.